I can hardly believe it’s been over six years since ATE began. It’s been an incredible journey… From our beginnings as a family-run, volunteer-led, tiny organisation, to a £200,000 turnover per year charity which is sustainable, strategic, well run, and most importantly, making a real difference to thousands of people. I am extremely proud of everything we have achieved, and excited about the future! As we enter 2019, I know ATE will continue to thrive. Thank you to everyone who has contributed to our success this year, and every year before. Our talented staff, dedicated trustees, hardworking volunteers and generous givers – thank you so much. Top of the Pie game! 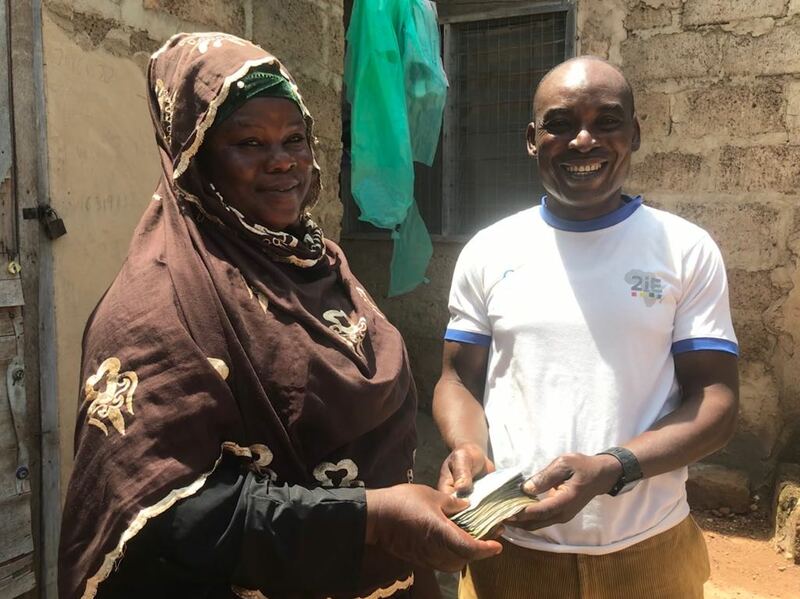 Mr and Mrs Abu are the first married couple ATE has supported as a team, and they quickly built up their successful “Meat Pie” business from scratch after Mrs Abu saw a gap in the market and taught her husband how to make “meat” pies from a traditional egg and sardine mix. They work fantastically together and their motto is to “cook as if we were cooking in our own home”. The ATE grant will help them improve their profit margin by buying ingredients in bulk and investing in transport to other markets in the Municipality – they plan to use the profits to hire a container where they will still work side-by-side. Mr Abu will continue to make pies, and once the business has grown further Mrs Abu will return to her first love, hairdressing. Pastry and pampering – truly a match made in heaven. Going into their 3rd season as Dry Season Farmers, we are proud watching these 38 farmers reap the rewards from the hard work they sow! But it is the changes in the lives of their families that really astounds. Each farmer we support learnt the trade by watching their parents, who learnt from their parents, picking up the skills as they helped out after school, However, when asked whether their children will become farmers, they laugh – “They can be whatever they dream to be” – it is no longer a necessity for their children to start working on the farm when they are able, instead they can remain in school to finish their education and with the increasing profit from their farms, more money is spent on keeping their children healthy and in school – making each child’s dream for a brighter future, closer to their reality. ATE’s Inclusion Centre – where are we now? The land has been purchased, the foundations have been laid and the walls are up! 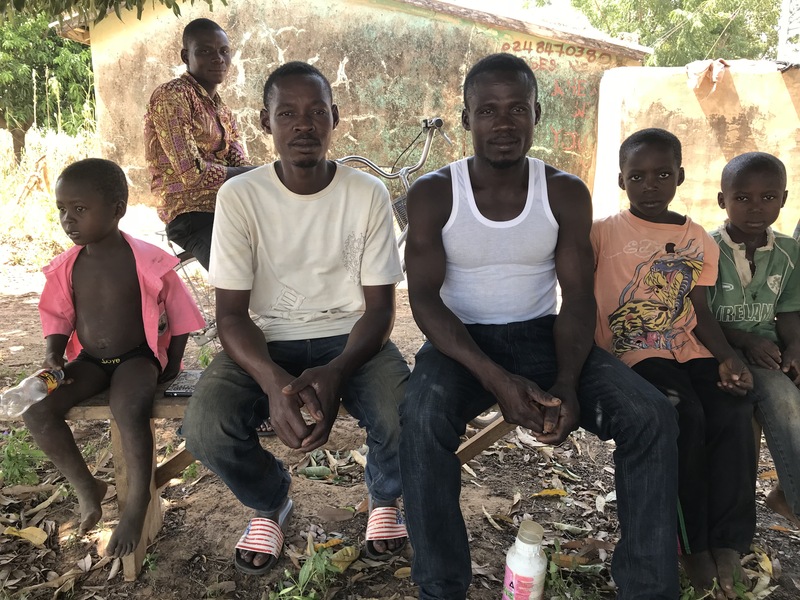 Our Inclusion Centre will provide a safe, inclusive and accessible space for disabled children in Lawra – a space that is sorely missing. In addition it will house ATE’s office space – a much needed space to replace the small 3x3m corrugated iron ‘office’ that we have been using for the last three years. With one desk, no electricity and five full time staff members, this office space has been cramping our style (And, not to mention almost impossible to create a productive work environment in)! To say the least, we cannot wait to have the Inclusion Centre up and running. We know it will make an enormous difference to disabled children and their families as well as allowing us to increase our capacity and carry us into the next chapter in the ATE story. ATE serves up 76,368 school meals this term! That’s over 1,000 school children across six different school! That means over 1,000 different children with opportunities for a bright and fulfilling future. Most women will agree, and most men can imagine, that periods are pretty rubbish. Now, add in a hot sub-saharan environment, limited access to appropriate wash facilities, no money for sanitary products, and no underwear. It is a horror none of us will understand. And worse, it’s a horror that is stopping girls from attending school. An ‘accident’ during school can cause enough embarrassment that a girl will never return. 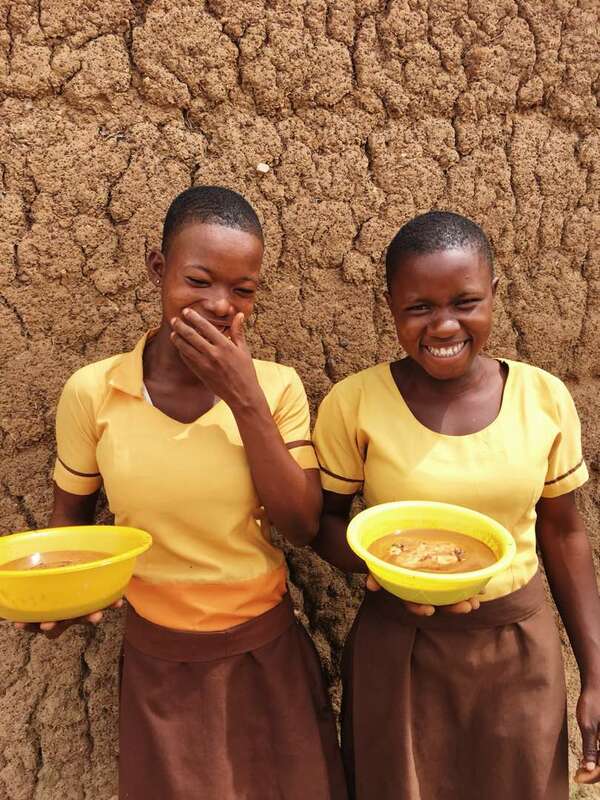 It is common for girls to skip school altogether during their periods, causing them to fall behind in class and ultimately impact their final grade and their future. We want to get people talking about periods, end the shame and provide sustainable alternatives to absenteeism. 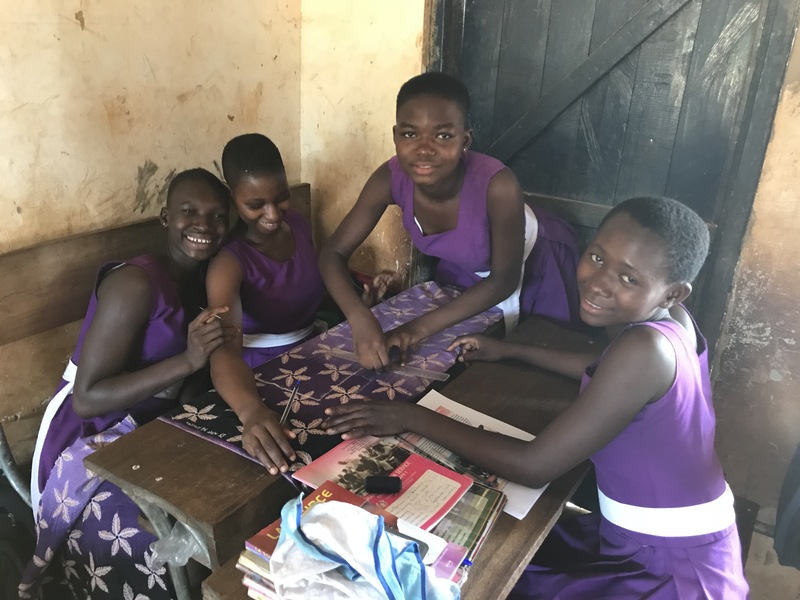 We’re trialling workshops teaching skills to make re-useable sanitary towels to empower girls, keep them in school and bring some dignity to periods. 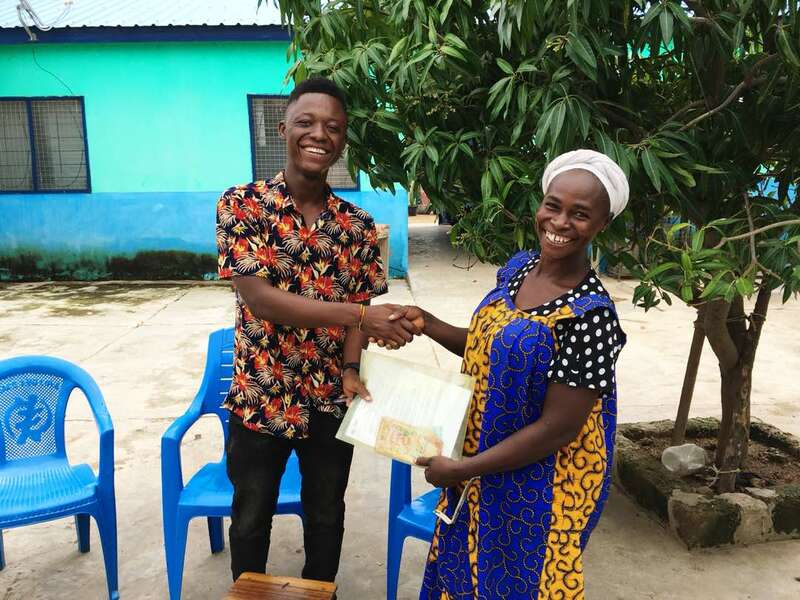 Matilda, an iron wool seller (known as silver shine in Ghana) was granted by ATE just this September to invest in merchandise for her market stall. 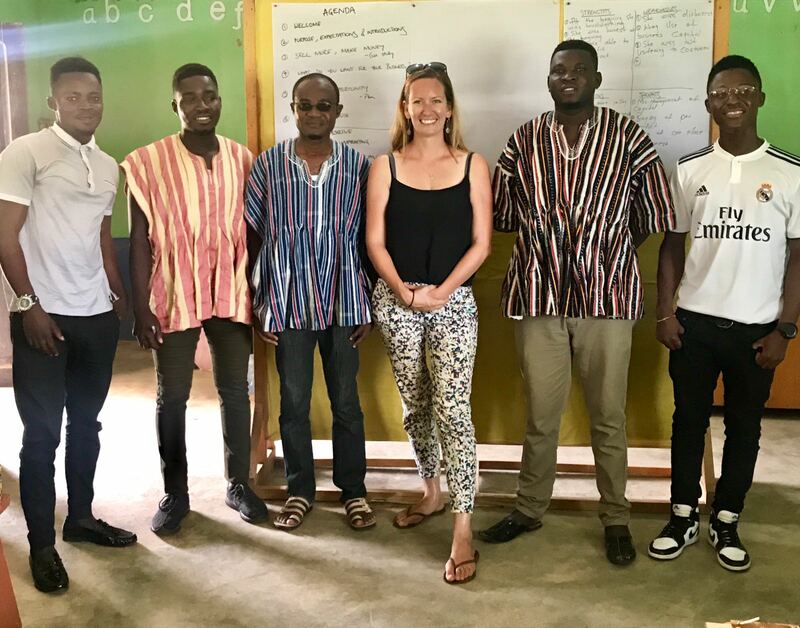 Already she is reaping the rewards – Matilda is now able to travel to other markets in the Municipality creating an enormous increase in her earning capacity! President Nana of Ghana visited Lawra on 10th November to celebrate the 50th Anniversary of Lawra Secondary School. It was a brilliant turnout with much excitement from all students and graduates! Namwinmalme gets the chance he deserves. In March of this year, we employed a dedicated SNAP Project Leader called Kaamil to bring SNAP into greater focus and prepare for the exciting changes that will come with the completion of our Inclusion Centre. Having a dedicated SNAP Project Lead means more time for home visits, responding to individual needs and identifying children with disabilities in remote communities. It was this additional time invested that allowed us to provide special support to Namwinmalme. A boy of just 8 years old, who is deaf and has never been enrolled in formal education because of it. He would cry seeing his friends and siblings go off to school, until one day he decided to follow them. Eventually his parents even bought him a uniform. Not understanding a word but wanting so much to take part, Namwinmalme sits at the front of class each day. However, thanks to Kaamil’s home visits, we were able to notify Namwinmalme‘s parents about a school for deaf children in Wa, just an hour away. 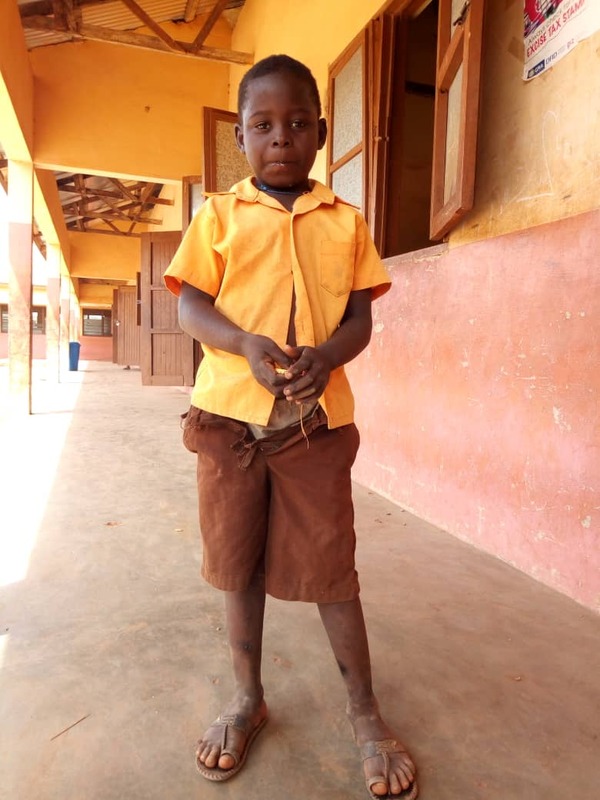 His parents quickly went to gather an application form, which Kaamil supported them in completing, and now Namwinmalme will be starting school in January. For the first time he will understand, participate and learn! It is such a tragedy that so many children like Namwinmalme who have special needs will miss out on their right to an education but we are glad every day that we can be there to help change that. 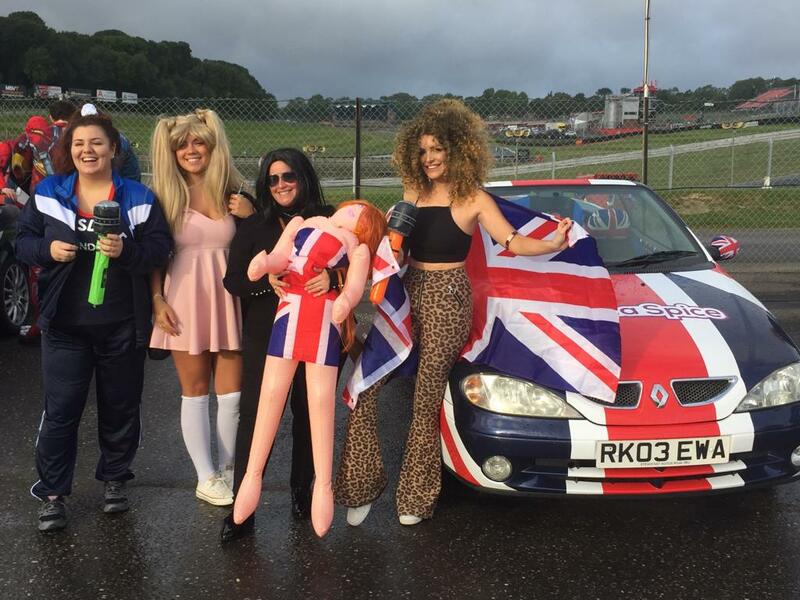 Gamma Ball Rally VI raises £100,000 for ATE and Special Effect! Racing off on a scavenger hunt from Brands Hatch all the way to Marseilles, telecom partners of Gamma set off in fancy dress with cars to match! On a budget of no more than £500 to spend each car, it was a wonder they all made it across the start line! What a brilliant weekend, thank you so much to Gamma and everyone who took part. We need YOU… to run! Join the ATE team in the Reading Half Marathon! It takes places on Sunday 17th March and is an excellent way to raise the profile of ATE in the area, while simultaneously raising money to fund the life changing work you’ve read about today. Let’s do this together! Get in touch at admin@ateghana.org.